Perceiving means to become conscious of, to realize, to understand, to grasp. Natural history museums strive to enable the public to perceive, commonly in re-creations of past worlds. Who hasn’t gazed over a diorama of the Carboniferous Period, for example, with its signature colossal club mosses, horsetails, and tree ferns, commonly alighted with gigantic dragonflies? But have we actually perceived it—recognized it as the period which bequeathed us carbon? Because the legacy of the Carboniferous powers most of the world’s electricity, and—together with other fossil fuels and land-use practices—has landed us in a hot mess. October’s Intergovernmental Panel on Climate Change (IPCC) Special Report broke with the guardedly cautionary language of previous reports in stating the need for “rapid, far-reaching and unprecedented changes in all aspects of society” in order to limit planetary warming to 1.5oC above pre-industrial values. The second volume of the U.S. Fourth National Climate Assessment (NCA), conveniently released on Black Friday, echoed the admonition, with a focus on risks and impacts to the U.S. In essence, both are renewed calls for perceiving the Anthropocene. Really perceiving it this time—in the deep sense that requires imagination based on either hindcasting past Earths (reading the geologic record), or forecasting future Earths (climate modeling). Both involve scientific research—the pursuit of science—and, scientists would like to say— the pursuit of objective truth. Bruno Latour, the “post-truth“ philosopher, suggests that scientific knowledge is socially produced—the product of human constructs—but constructs supported by networks of human and non-human observers (i.e. instruments). The truth evolves as science advances—as our ability to read the record, and our powers to accelerate computing, increase the accuracy and precision of resultant observations. So our perception of the Anthropocene, of anthropogenic climate change and of potential reactions, is evolving. The IPCC’s and US NCA’s wake-up calls, the urgent language used, reflect the increasing recognition of the frenetic pace of environmental changes—a recognition that, frustratingly, can best be viewed in hindsight. But we now have a sufficiently lengthy historic record to hypothesize that this pace is, as far as we can detect, unprecedented in all of Earth history (outside of that associated with an asteroid impact). Mitigation and adaptation have long been discussed as approaches to climate change—these approaches constitute Plan A. But our collective failures to really perceive the Anthropocene and thus implement Plan A is fueling the uncomfortable specter of intentionally engineering planetary systems as a desperate Plan B: that is, geoengineering our way out of our short-circuiting of the carbon cycle. The climatic changes that may be produced by the increased CO2 content could be deleterious from the point of view of human beings. The possibilities of deliberately bringing about countervailing climatic changes therefore needs to be thoroughly explored. 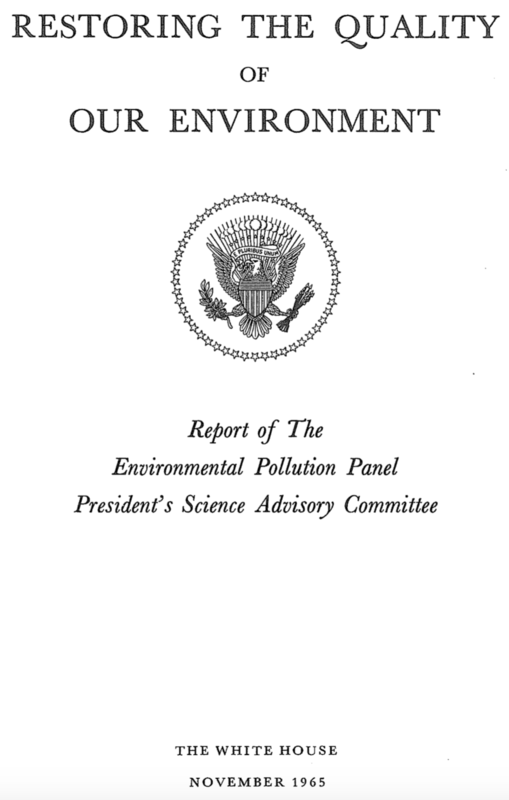 They called for what we now term geoengineering — i.e., the intentional manipulation of earth’s climate system. Geoengineering is a scary prospect, especially considering that our “unintentional” fiddling has landed us in this state that we’re currently struggling to perceive. Geoengineering is fraught with hazard: technical hazards—that we don’t necessarily know what we’re doing, and moral hazards—that we’re not sure who should be controlling the thermostat. These issues have long imposed a well-deserved taboo on discussions of geoengineering. But the acceleration of climate change has begun to dissolve that taboo, spurring research on ways to either remove carbon from the atmosphere (carbon-dioxide removal, or CDR), or enhance surface reflectivity (solar-radiation management, or SRM). 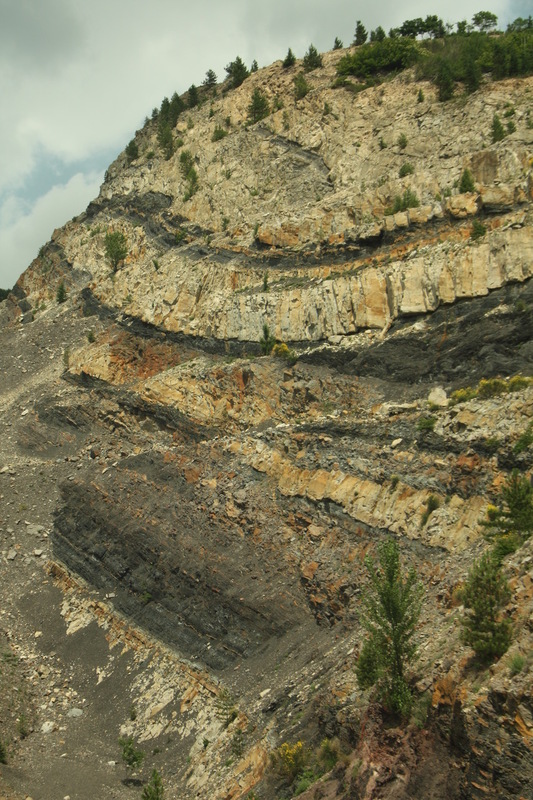 Earth’s geologic record preserves a trove of past planetary experiments. If we want to understand how carbon-dioxide removal (CDR) or Solar Radiation Management (SRM) has occurred in the past, we should look to the geologic record. One’s of Earth’s grandest forays into a CDR-like process occurred ~350 My ago, during the time referenced above: the Carboniferous. The Carboniferous spawned, for the first time in planetary history, extensive land plants, including the growth and proliferation of rainforests with trees of dizzying heights, enabled in part by the evolution of lignin— the key ingredient for arboreal support. As is the norm, massive death accompanied this proliferation of life, but the dead plants did not readily decay. Rather the abundance of lignin, the (periodic) wetness of the world, and the ready availability of subsiding land areas enabled an unprecedented preservation of this carbon in the form of peat, and thus a large-scale transfer of carbon from the atmosphere to the “geosphere” via the biosphere. 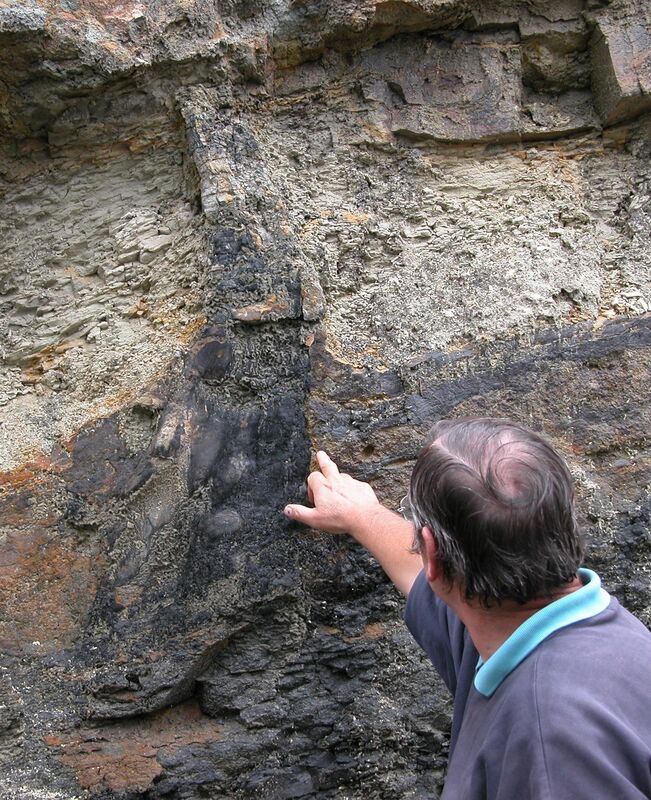 This carbon-burial event was so widespread that the resultant coals have fueled (and continue to fuel) industrial revolutions in Europe, North America, India, China, and many other regions. Of course, this is precisely why 19th-century geologists, in the midst of the West’s industrial revolution, termed this time period the “Carboniferous.” Indeed, Earth houses so much coal from the Carboniferous that we could fuel the economies of the world for hundreds of years by combusting it; doing so, however, would release to the atmosphere in hundreds of years what Earth sequestered over tens of millions of years. And that is the central crux of anthropogenic climate change: it is not the carbon release per se, but the RATE of release—a rate that far outstrips the natural capacities of the planet to scrub it from the atmosphere. During the Carboniferous, atmospheric CO2 plunged to levels so low that Earth entered its most prolonged glaciation, narrowly escaping a “snowball” state (Feulner, 2017). So, CDR could be an excellent approach to our problem, because it attacks the root cause of anthropogenic climate change—excess carbon in the atmosphere, and would also address auxiliary negative effects such as ocean acidifcation, for example. Unfortunately, however, it fails in a key aspect: the typical century-to-millennial timescales over which carbon can be sequestered cannot save us in the case of runaway climate change. The Cataclysmic 1991 Eruption of Mount Pinatubo, Philippines, from USGS. This has led to discussion of the emergency tactic known as SRM— efforts to adjust planetary albedo to reflect sunlight as an urgent cooling measure— specifically to buy us time to make the transition to cleaner energy. One form of SRM would involve injection of sulfate aerosols into the atmosphere, to literally shade the planet. The inspiration again derives from Earth’s own playbook: the 1991 equatorial eruption of Mt. 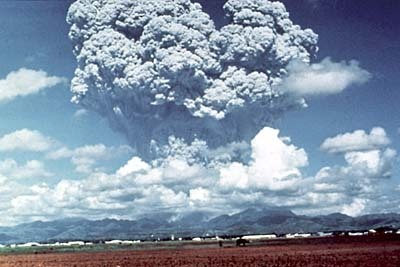 Pinatubo, for example—a single volcano—led to a significant depression in global temperatures for a year or so following the eruption . But it also imposed auxiliary negative effects, such as depressing rainfall over land areas. The 1815 eruption of Tambora in Indonesia infamously caused crop failures as far away as New England, in addition to the dismal weather that inspired Mary Shelley’s Frankenstein. So, although SRM could potentially slow or halt glacial melting, “…there are at least 27 reasons why stratospheric geoengineering may be a bad idea” (Alan Robock, 2016). If we wish to fully understand planetary systems, with the prospect of intentionally modifying them, it behooves us to study the experiments from Earth’s past. But even more importantly, it behooves us to perceive— really perceive—those ubiquitous Carboniferous dioramas, and ponder what they actually imply for our current Age of Carbon. This entry was posted in Perceiving the Anthropocene, Reflections and tagged Bruno Latour, carbon, climate change, deep history, geoengineering. Bookmark the permalink.